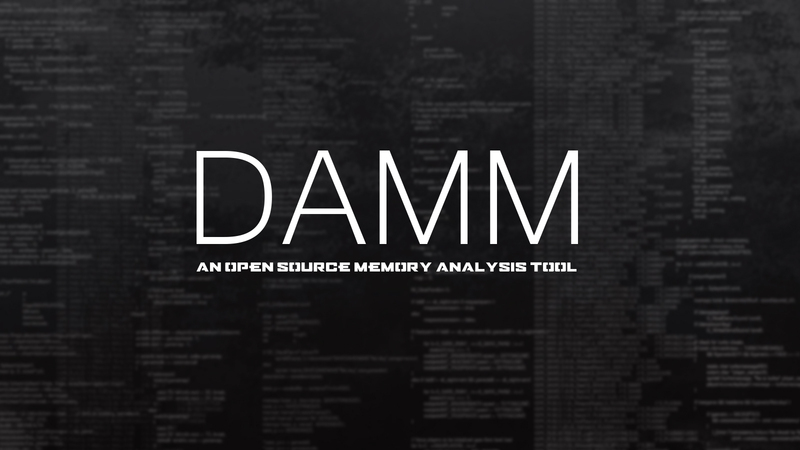 DAMM (Differential Analysis of Malware in Memory) is an open source memory analysis tool built on top of Volatility. It is meant as a proving ground for interesting new techniques to be made available to the community. These techniques are an attempt to speed up the investigation process through data reduction and codifying some expert knowledge. A filtering/type system that allows easily filtering on attributes like pids to see all information related to some process and exact or partial matching for strings, etc. --tsv                 Print screen formatted output. --warnings            Look for suspicious objects. -q                    Query the supplied db (via --db).